Fresh from the box-office success of his and Kathryn Bernardo’s first movie team-up “Must Be…Love” and the multiple awards that his song “Nasa ‘Yo Na Ang Lahat” bagged from the Himig Handog P-Pop Love Songs 2013, Star Records’ platinum-selling recording artist will go all-out for his concert. 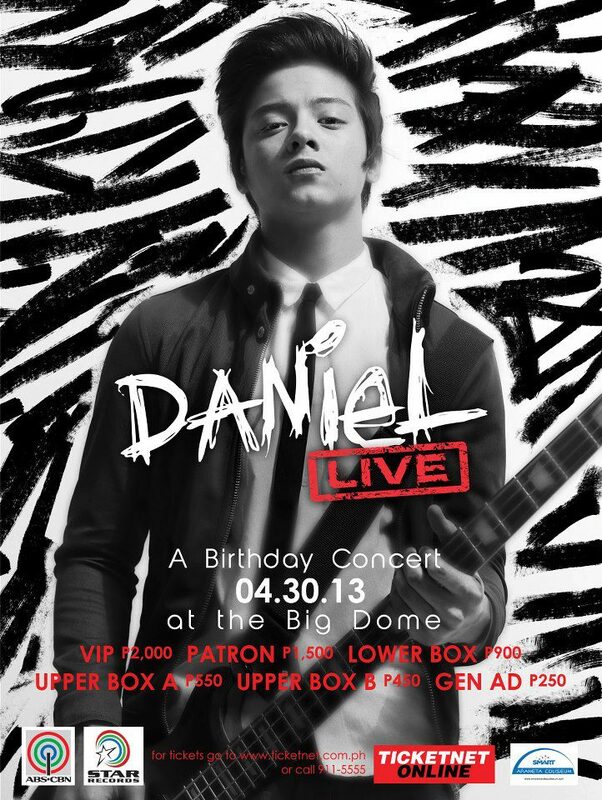 Daniel Padilla, the country’s hottest young actor-singer is set to conquer the Big Dome on April 30 for his post-birthday concert. “I’ll do everything to make the show successful,” said Daniel with his favorite ‘old school rock’ music dedicated to his young supporters. “This concert is my gift to my fans. 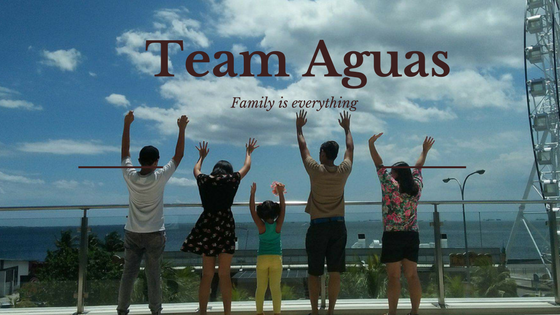 It’s my way of saying thank you to all the support they have given me. We’ll just enjoy on that day." 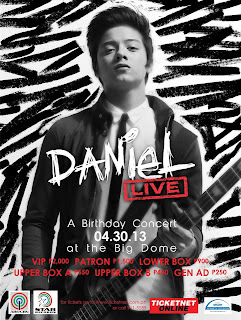 For more updates about “Daniel LIVE: A Birthday Concert,” visit Star Records’ Facebook fanpage at www.facebook.com/starrecordsphil or follow @starrecordsph on Twitter.